Series thermal protector-Ningbo Haishu Nide International Co., Ltd.
Nide is professional in manufacturing thermal protector. We have been in this field for many years, and our products cover a wide range and application. Nide team will provide customers with advanced technology, first class quality and best service; will be always at your service. 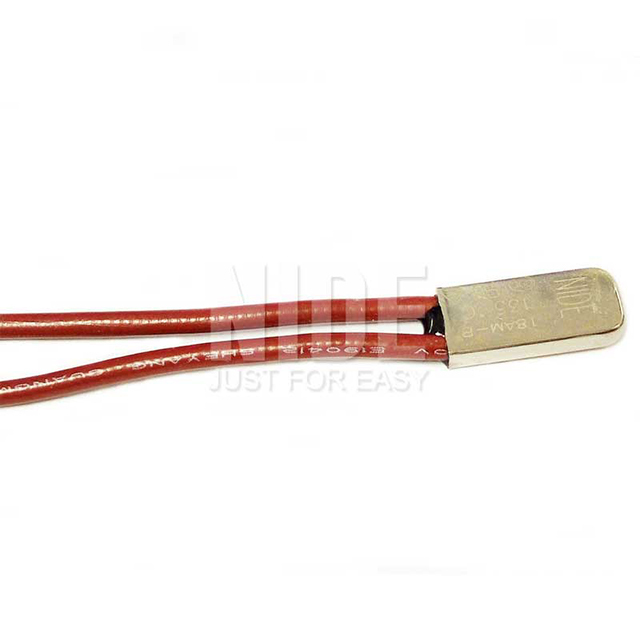 The high level conductivity bimetallic element can meet the requirement of normal loop current. The combination of bimetallic element and heater can respond fast. It is sensitive to temperature and current raise. It can protect motor from over heating and loading. Terminals are optional and customized. Various washing machines, vacuum cleaners and gardening equipment. 1. Our thermal protector has a wide application, such as automotive industry, household appliances, power tools and etc. 2. We directly supply our thermal protectors to many countries, like USA, France, Turkey, Iran, India, Brazil, Argentina, Mexico etc. 3. We have a wide range of thermal protect. 4. We could customize thermal protect for our customer.